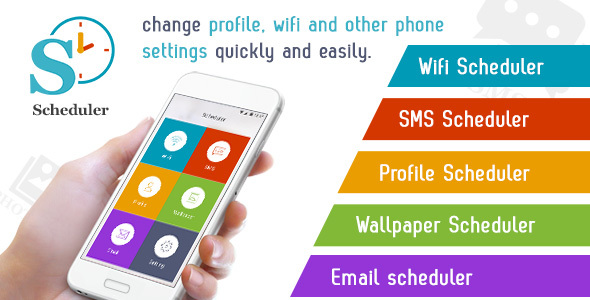 Scheduler lets you change profile, wifi and other phone settings quickly and easily. Also you can schedule SMS in few easy step. You can select contact , enter text message and select time.